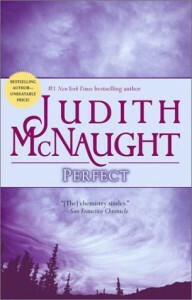 Perfect is a bittersweet story of Julie Mathison, a simple and vivacious teacher from a small town in Texas. Being an orphan, Julie was obsessed in making her life as perfect as possible to please the people who raised her with unconditional love. While she was living the life that she dreamed of, came Zachary Benedict. Zachary had come from a wealthy family but was then disowned by his grandmother-- the matriarch of the family-- because he allegedly killed his younger brother. And so at a young age, Zachary Benedict was thrown out of his family's mansion and was left to fend for himself. With hard work and raw talent, Benedict rose to fame as an Academy Award-winning actor and director. However, Zach's perfect moment became the worst nightmare when his wife was murdered and all evidences pointed him as the suspect. Without proof to justify his innocence, Zachary found himself incarcerated in a Texas prison for five years until he made a daring move to escape. While on the run, Benedict met Julie and it was a moment's decision that he took her as hostage and brought her to his Colorado mountain hideout. Julie was furious and scared with the turn of events in her simple life. However, as time passed by, even with Benedict's bitterness and angst for the whole world, Julie Mathison found herself falling in love with the handsome captor. It was only a matter of time when the two were already head-over-heels in love with each other. And Julie knew in her heart that Benedict is a good man and he was wrongfully accused of the murder. As they were starting to strengthen their new relationship, another storm has set in to wreck that frail bond of love. There was another murder and circumstantial evidences pointed to Benedict again. The information shattered Julie and she finally questioned the choices she had made, of how she didn't deserve the perfect life her adopted family had given her. The next events were just so painful that there were times that I just had to stop reading and cry for Benedict and Julie. Benedict was apprehended once again with the help (unknowingly) of Julie. While Julie suddenly realized her mistake and tried to rectify it. Yes, that scene was just so sad when Julie was screaming for Benedict and the cops were manhandling her. Julie went back to her home, sad and broken to pieces. While Benedict, with the help of his good friend, was finally set free as the real murderer was already discovered. Though a free man, Benedict wasn't truly happy for Julie's betrayal haunted him like a ghost. And his great love for the woman who was his everything turned to contempt... to hatred. But destiny would always find a way to reunite two wandering souls that were lost in grief and anger. And so, Benedict discovered that Julie had never betrayed him intentionally and that she had always loved him, sought her back. And it was in their final meeting that Benedict realized that Julie had been his salvation all along. And Julie finally realized that her life had been perfect all along. Oh geez, Perfect is one of my favorite McNaught books. Fast paced, full of drama and mystery and a lot of things to ponder. I must admit that I really fell in love with Benedict for his outstanding bravery despite the odds. Can you imagine that he had let his own grandmother believed that he killed his younger brother? When in fact, his younger brother committed suicide because he was homosexual. And yet, Benedict sacrificed all his privileges and wealth to protect his brother even at his death. Benedict's endurance for the pains he had been keeping in his heart was so sad that I actually feel for him, ache for him and cry for him. No man should deserve that kind of fate. And Julie was the perfect heroine for Benedict. Simple and yet, she owned the world with her big heart. And I admire her for saving Benedict from destroying himself. That was not an easy feat for a woman who also had her own battles to win. 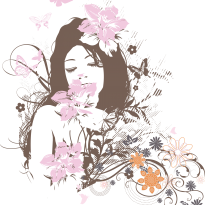 Perfect is a perfect narrative of moral values. It is a picture of our everyday struggles in life, of the pain we have to endure, of the inevitable anger that we feel, of the bliss that we constantly chase and of the freedom from our own prison of woes.